A geographic information system (GIS) is a computer system for capturing, storing, analyzing and displaying data related to locations on the Earth’s surface. GIS enables users to display different kinds of data on a single map. This helps people to more easily see, analyze, and understand patterns and relationships of data. In a general sense, the term describes any information system that integrates, stores, edits, analyzes, shares, and displays geographic information. GIS can use any information that includes location. The location can be expressed in many different ways, such as latitude and longitude, address, or ZIP code. Many different types of information can be compared and contrasted using GIS. Modern GIS technologies use digital information, for which various digitized data creation methods are used. The most common method of data creation is digitization, where a hard copy map or a survey plan is transferred into a digital medium through the use of a CAD program, and geo-referencing capabilities. With the wide availability of ortho-rectified imagery (from satellites, aircraft, and UAVs), heads-up digitizing is becoming the main avenue through which geographic data is extracted. Data in many different forms can be entered into GIS. Data that are already in map form can be included in GIS. GIS can also include data in tabular form, such as population information. GIS technology allows all these different types of information, no matter their source or original format, to be overlaid on top of one another on a single map. Once all of the desired data have been entered into a GIS system, they can be combined to produce a wide variety of individual maps, depending on which data layers are included. With GIS technology, researchers can also look at changes occurring over time. They can use satellite data to study topics such as change in the ice cover in the Polar Regions. GIS technology makes updating maps much easier. Updated data can simply be added to the existing GIS program. A new map can then be printed or displayed on screen. This skips the traditional process of drawing a map, which can be time-consuming and expensive. GIS is a broad term that can refer to a number of different technologies, processes, and methods. It is attached to many operations and has many applications related to engineering, planning, management, transport/logistics, insurance, telecommunications, and business. GIS technology finds its uses in several fields. Many businesses use GIS to help them determine where to locate a new store. Biologists use GIS to track animal migration patterns. City officials use GIS to help plan their response in the case of a natural disaster such as an earthquake or hurricane. Drivers can use GIS to find out shorter routes to reach their destinations, or find alternative routes to avoid traffic hassles. 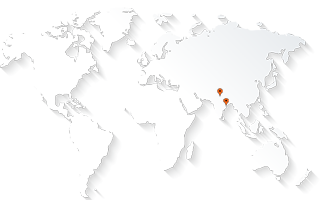 AABSyS is a leading provider of GIS technology services for the past several years. Please continue exploring this section to find more details about how AABSyS can help you with GIS and CAD, and also some interesting case studies of how customers in different segments have benefitted from AABSyS services.